You know those annoying people that just discovered the Game of Thrones and now they can't shut up about it? 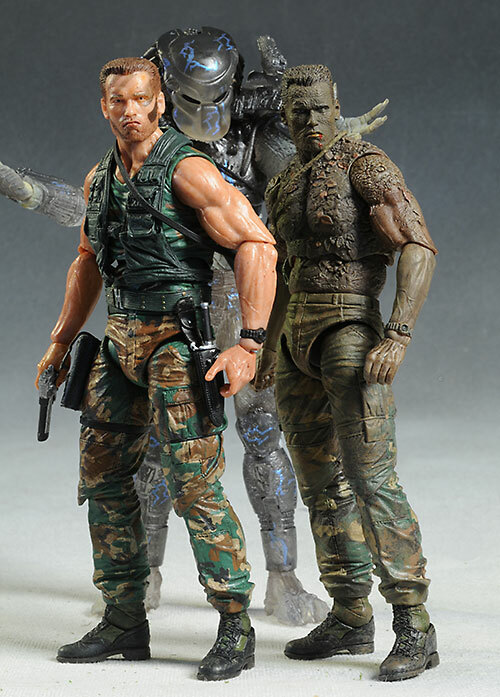 That would be me and the latest NECA Predator action figures. People have been telling me all about them for months, and yet, I've been slow to the party. But I picked up a couple recently, and now I'm sold. So when I saw these two - the Water Emergence Predator and the Jungle Disguise Dutch - on the pegs at Toys R Us, I snagged them for another review. If you see them, I'd advise the same. Why? That's what this review is all about! Same packaging as the last few releases, and it works well enough. They've dumped the clam shells with the Predator series and gone with the card back/bubble style. They're a bit over sized - there's some waste here - but the design and colors are great. I really liked the earlier Jungle Hunter Predator, and this version is just a repaint. The sculpt is just as good, with lots of fine detail on the armor and body. The dreads and mask look fantastic, and the bones and 'jewelry' are really nicely done. This Dutch is about the best I've ever seen, not just because the head sculpt is an excellent portrait (and not the same as the previous Jungle Patrol), but because of the amazing realism in the mud caked body. They even managed to reproduce the general coverage from the film, thicker and heavier on the face, chest and shoulders, thinner on the lower arms and legs. This is a really impressive figure, and even as a variant, stands out as a must have for the display. And yes, these are once again in that 7" scale, stand fantastic on their own, and the hands are sculpted to work great with the accessories. 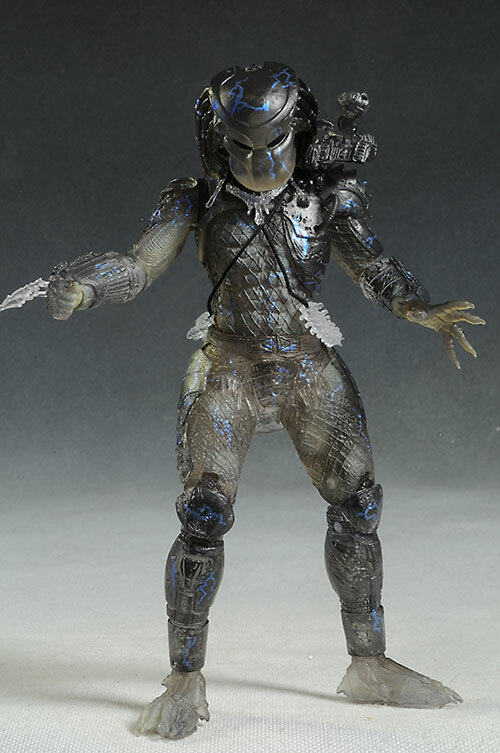 As I mentioned, this Predator is a repaint, done in a style that I really like. First, he has a translucent quality to the entire figure, although some areas are clearer than others. 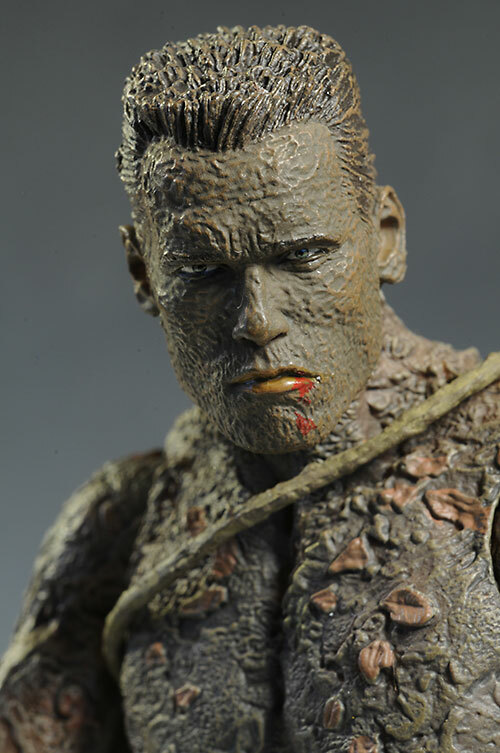 Second, they've added a pearlescent paint that mimics the look from the film as he rose up out of the swampy water. In photos it's a bit obvious, but there's something about it in person that really tricks the eye. The brown on Dutch varies with the thickness of the mud. The lower arms are lighter, while the upper arms and chest are darker - just as you'd expect. The eyes are also quite impressive, with a real Arnold squint to them. It's a combination of paint and sculpt that pulls it off of course, but the eyes are also perfectly straight and properly lined up with each other. My one criticism would be his lips, which are very red against the brown mud. The bloody look works better in person than it does in photos though, making this a very minor nit. These figures mirror the articulation from previous figures, and that's a very, very good thing. I'll repeat what I said before - NECA is best known for Nerd Hummels, little plastic figures with very little mobility. But with their Predator line, they are breaking out all the articulation and then some. Dutch starts out with a nice ball jointed neck, and has NECA style shoulders, ball elbows, ball wrists (see a trend? ), ball hips, ball knees, ball ankles, and all these joints work great. There's a nice ab-crunch and a cut waist as well, rounding out the overall articulation nicely. The neck is particularly useful, adding some nice personality - and realistic centering of his body - with every pose. The ball ankles are also well worth noting, because they allow the figure to keep his feet flat on the floor, even in deep stances. The Predator has those same ball ankles, and I love them just as much. There's also all the other ball joints, including knees, hips, wrists, and elbows. The blades extend and retract of course, but there's no ab-crunch. There is a cut waist, and while the neck is ball jointed, it's a bit more restricted. The accessories are even better with this pair, and that's saying a lot. Dutch has his homemade bow, along with three regular arrows and one grenade arrow. There's also a grenade tipped spear, as well as the spear created with a knife strapped to the tip. He can't actually use the bow, but it still looks decent in his hands and on his back. 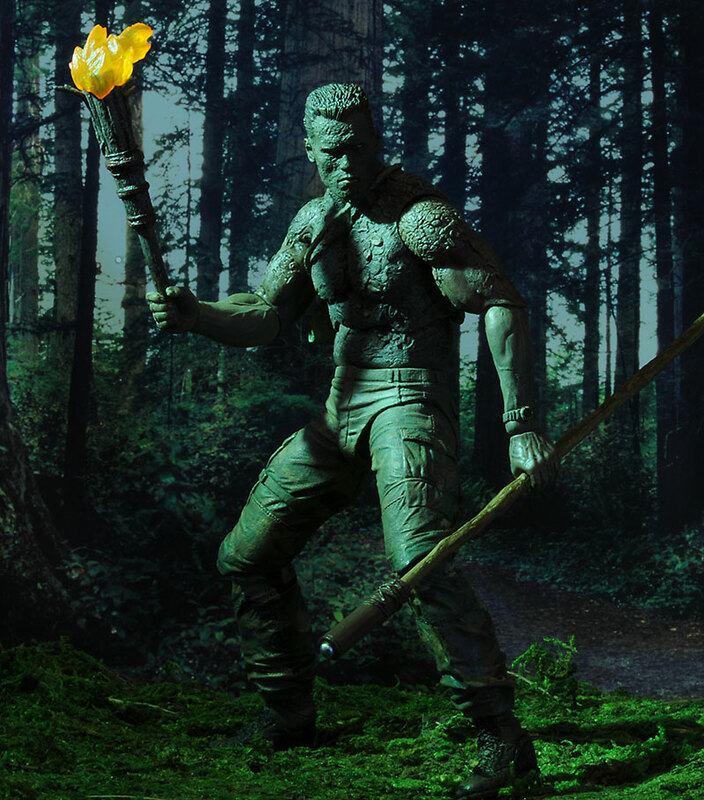 To go with the weapons, he has a lit torch, burning with a cool translucent orange flame. 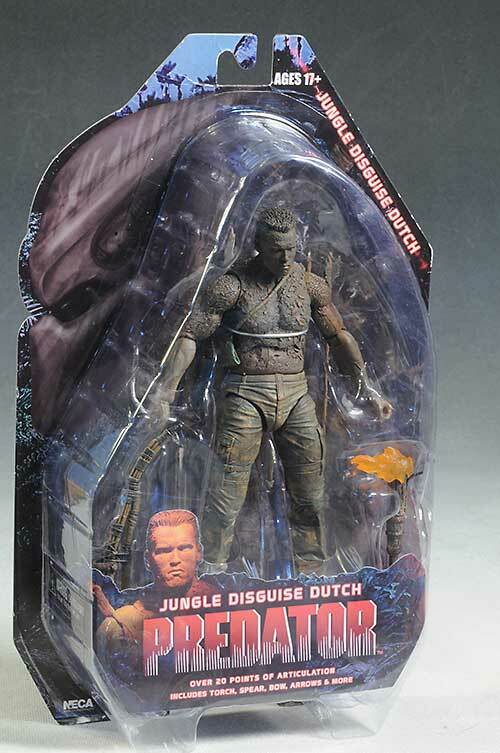 The Predator comes with the removable cannon, just like the Jungle Hunter. I kept it on for the photos this time, but I think I still prefer it without. He also gets another new accessory - a human skull. It's in scale and looks terrific. Excellent articulation, great accessories, fantastic sculpts and paint - these are amazing action figures, and true toys. At around $16 or so, these are a very solid value on the current market. The accessories really add to this as well, something we just don't get enough of these days. 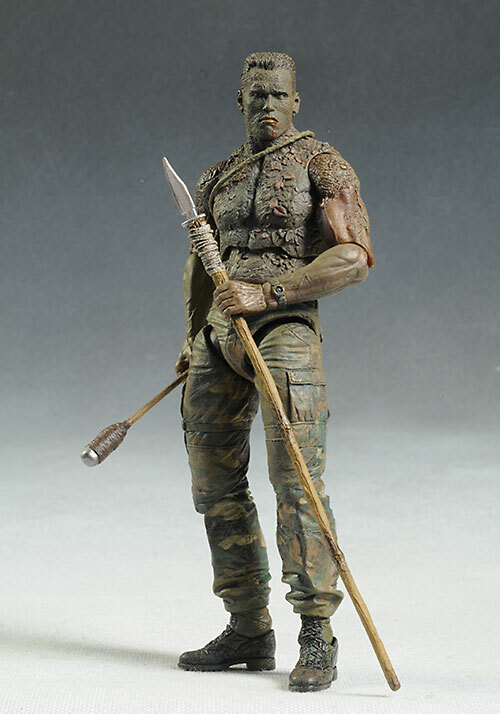 If you're like me, and haven't been paying attention to these Predator figures, I understand. There's been a lot of Predator figures over the years, and so it's no surprise if you're a bit burnt out. But don't make the mistake of avoiding them any longer. 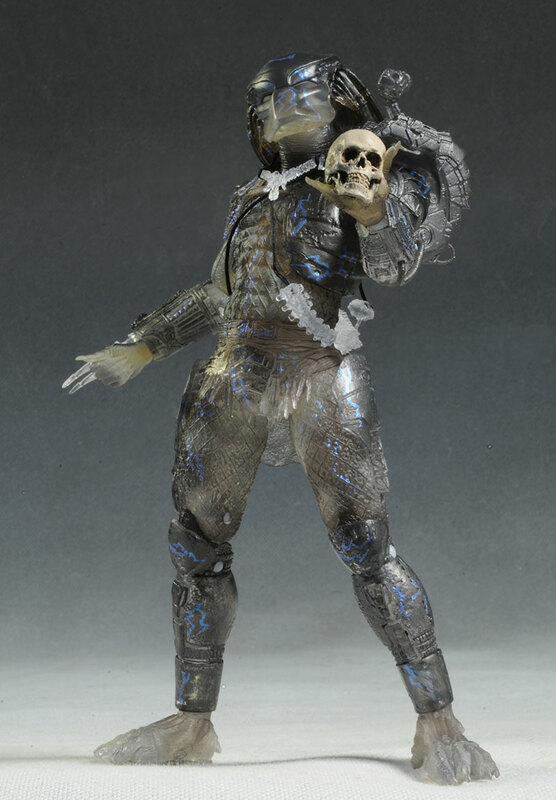 These are so well done that they'll replace your past favorites from NECA and McFarlane. Add in some really amazing versions of Dutch, and you just can't go wrong. You're best bet is to hit the local Toys R Us, or you can search ebay for a deal. 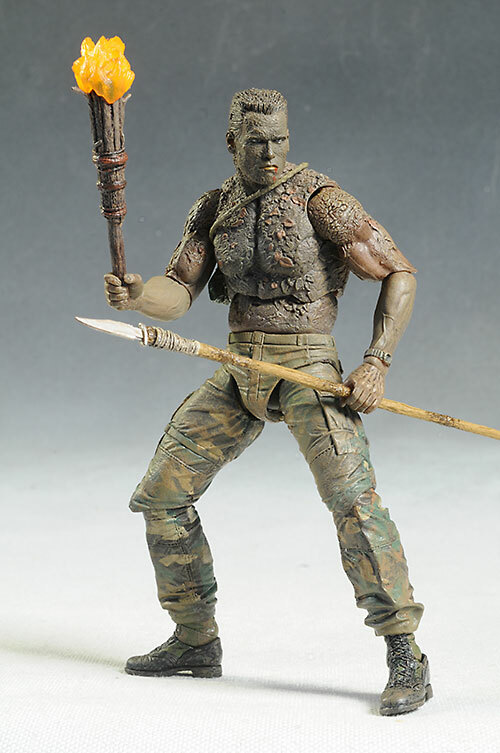 I covered two other recent NECA Predator figures here, and this guest review of some of the earlier 7", along with their very cool 1/4 scale figure. 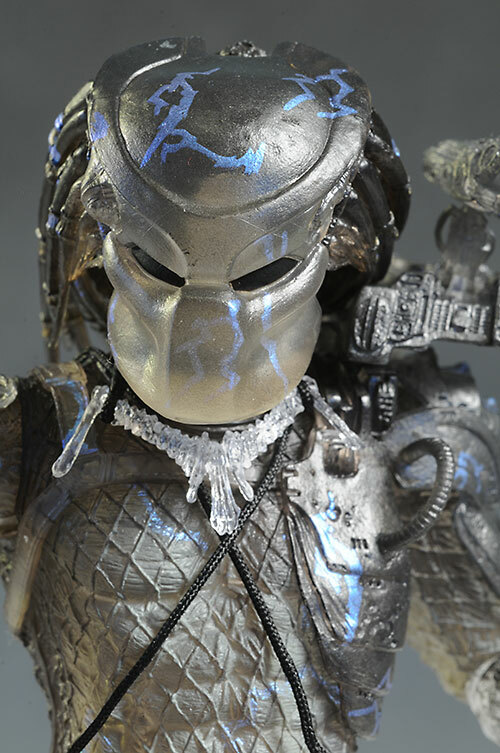 Of course, there's also high end Predator figures from Hot Toys, which are truly outstanding if you can afford them. Check out their City Hunter Predator, their Samurai Predator, or their Classic Predator from Predators. 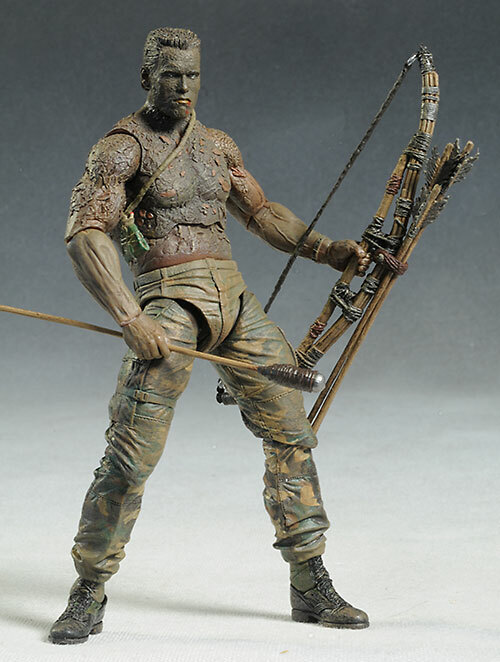 They also did their own sixth scale version of Dutch, although I think this NECA sculpt is superior.